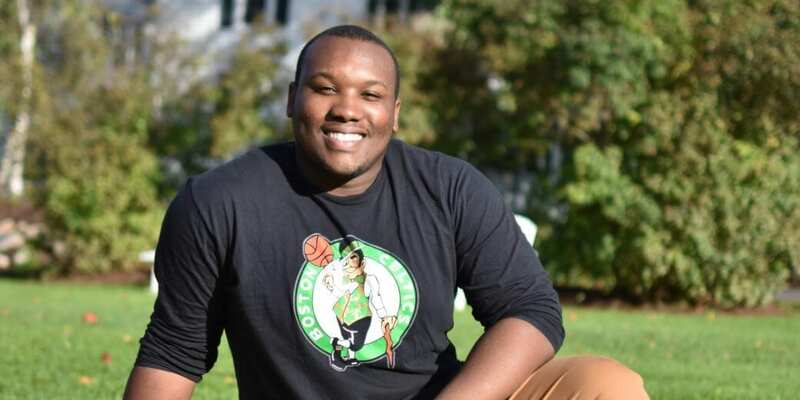 Hezekiah Branch, an undergraduate Cognitive and Brain Sciences major at Tufts University in Boston, had taken enough courses outside his major to know he liked both programming and statistics. But he was unsure of what sort of career those skills might speak to until a simple Google search pointed him towards the data science field. As as current undergraduate, Hezekiah has access to programming classes at his university, and he said that he has enjoyed them. But while they’ve been excellent, Hezekiah was looking for something more specialized, and he wasn’t getting the data science know-how he needed from Tufts’ more broad CS classes. So he started studying data science online via MOOCs and other web resources. Eventually, he saw Dataquest mentioned in a Quora answer, and decided to give it a try. Once he’d signed up, Hezekiah quickly worked his way through the free Python Fundamentals course and found that he enjoyed the approach. “I felt like the rigor and the concept was very, very similar to what I was already learning at Tufts, so I took that as a good sign,” he said. Armed with a solid grasp of data science fundamentals, Hezekiah then began searching for a technical internship. He didn’t find one immediately. His first internship, a 2018 stint at the Harvard Graduate School of Education, was non-technical, but he was still able to pick up some data-relevant skills on the job while working on something that truly matters: civic engagement. His next role, however, allowed him to start making use of his newfound data science skills. At the South End Technology Center (SETC) in Boston, Hezekiah had the opportunity to work with renowned Civil Rights activist and MIT professor Mel King towards the SETC’s mission of improving the lives of Boston residents through free and low-cost technical training and other technology-related services. As he was exploring summer positions after his time at SETC, Branch came across and applied for a variety of data-science-related positions, including data analytics and business systems job with Prudential. Knowing the interview process would be rigorous, he dove back into his studies. Branch was placed into one of the most difficult teams at Prudential. He has since focused on honing his data science skills and learning tools like Hadoop and Spark. Hezekiah has held three data-science related positions in a relatively short period of time, and he’s still an undergraduate. Clearly, he’s doing a whole lot right. What’s his secret to success? One thing, he said, is dedication and taking his time. “Just being flexible in that process and giving yourself a chance to grow is just as important as what you're learning,” he said. If you have the drive, we have the courses that will teach you the skills required for a data science career. Check out our free Python Fundamentals course and free Introduction to Programming in R course to get started.